Smriti Irani, now a cabinet minister, became a household name after playing Tulsi Virani in Ekta Kapoor's popular television show Kyunki Saas Bhi Kabhi Bahu Thi. Since then, Ms Irani and Ekta Kapoor have been good friends. 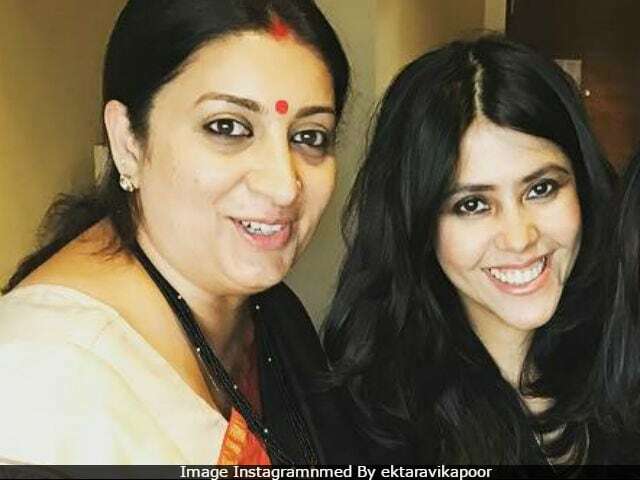 At a recent event in Mumbai, Ekta revealed that once she told Smriti Irani to make an appearance on her show and her answer was - 'I would love it'," reports news agency IANS. "You want me to bring back the Textiles Minister into acting? I would love it. (Once) I told Smriti, 'Please do at least one appearance'. She said, 'I will do it, but you know people will say something or the other. People will start talking. I am happy where I am'," Ekta said. Smriti Irani joined politics in the year 2003 and in 2014, she was inducted in Prime Minister Narendra Modi's union cabinet. She currently heads the Textile Ministry. Meanwhile, Smriti Irani made a blockbuster debut on Instagram a few months ago, courtesy Ekta Kapoor. In her second post, Smriti Irani revealed that Ekta 'pestered' her to join the photo-sharing app. Her post featured Ekta Kapoor and colleague Sakshi Tanwar, who played Parvati in another top-rated show Kahaani Ghar Ghar Kii, produced by Ekta. 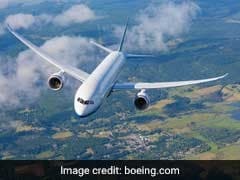 "Smriti came to my office last month. The whole office ran to meet her. As a friend, I hope her career goes really high because till the last day of her pregnancy she did shooting. Nobody knows this, but she shot on the day of her marriage. We made her work because she knew that the show won't go on air as nobody wanted to see Kyunki Saas Bhi Kabhi Bahu Thi without Tulsi," Ekta Kapoor told IANS.